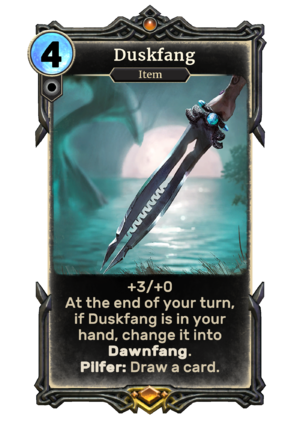 Duskfang is a unique legendary Neutral item card. Duskfang previously appeared in the Shivering Isles expansion for Oblivion. This page was last modified on 30 January 2019, at 12:29.